The Bridge enables users to generate customized vocabulary lists from its database of Greek and Latin textbooks and texts—and to develop digital vocabularies for their own texts. Users can generate whole vocabularies or focus on a selection of a list or work and also customize their lists to take into account textbooks that they have used, core lists they have mastered, and texts they have already read. 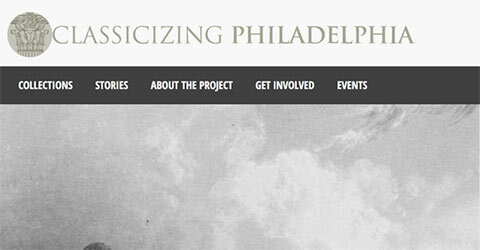 Classicizing Philadelphia, a digital humanities project inspired by the Classicizing Chicago project at Northwestern University, seeks to document, study, and continue Philadelphia’s long, deep dialogue with Greece and Rome. 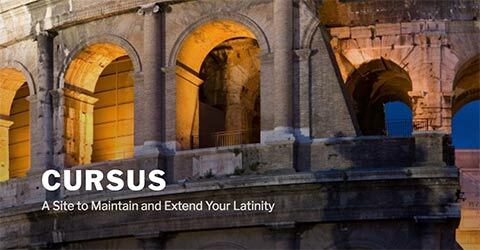 Cursus, a modern Latin review course based on Stanford-Scott’s Junior Latin Reader, offers a framework in which to undertake either a targeted or systematic review of the essential elements of Latin. The course is organized around brief, comprehensible, mythological stories. These progressive stories are the basis for reviewing aspects of: Language Basics, Vocabulary, Morphology, and Syntax, using a variety of free digital tools to help you reach your Latin goals. 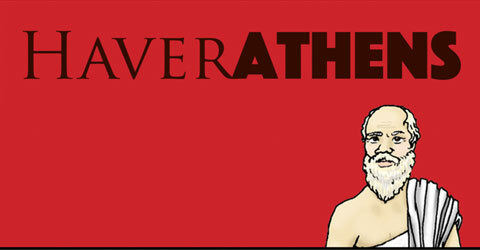 HaverAthens integrates an iOS app with real-world activity to offer students the chance to tour ancient Athens while strolling around campus. With the HaverAthens app, you assume the identity of Nikomachus, a visitor to Athens who, on his first day in the city, has the good fortune to accompany Socrates on his errands around Athens. In the process, Nikomachus learns more about the city of Athens and its culture through conversations with Socrates and other Athenian men and women. In the second round of HaverAthens, you lead Nicomachus around the Agora as he assembles the information and ingredients necessary for hosting a symposium. 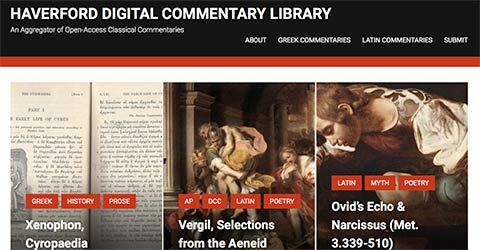 The Haverford Digital Commentary Library catalogues Open-Access commentaries on Latin and Greek texts. Some of these commentaries are the peer-reviewed work of scholars, as are the Dickinson College Commentaries; others have been created by students as part of their course work or by enthusiasts of various stripes. CommentarySandbox is a WordPress plugin that creates a Dickinson College Commentary-style environment on a WordPress site. With the plugin you can juxtapose Note and Vocabulary tabs to Texts. The plug-in is free. Create, comment, and share.